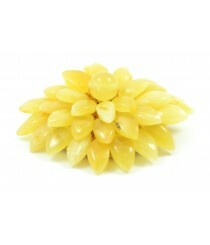 Amber Brooches There are 3 products. 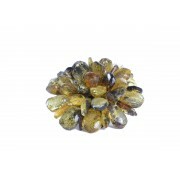 Amber brooch can be a very solid gift for any woman. Our brooches come in a form of flowers and they are handmade by expert artists from Baltic region. 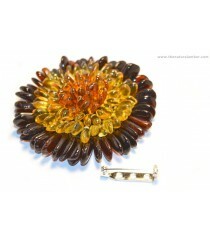 Each brooch features many different colors of Amber, which create exclusive looking design. We can assure that each brooch is created while using only real Baltic Amber beads so you can be certain that it is premium quality jewelry. Product ID: BR101; Short Description: Faceted Baltic Amber Flower Brooch, Green Color; Amber: Faceted; Color: Green; Length of Amber Flower: ~6.5 cm (2.6 inches); Weight: ~26 grams.